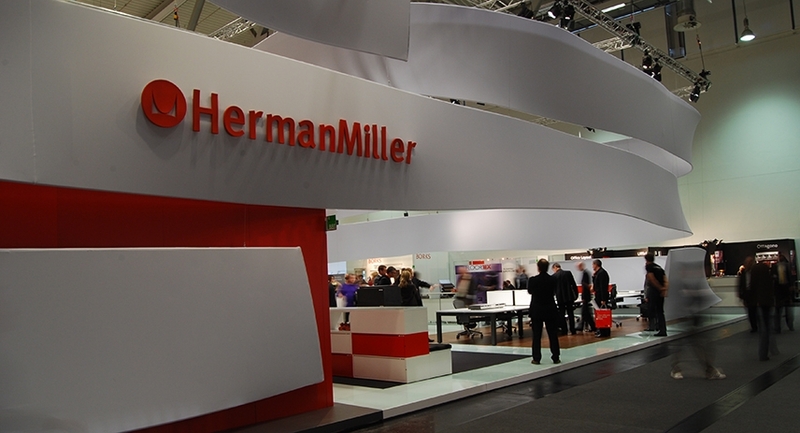 Herman Miller is the legendary Michigan-based brand that has been one of the birthplaces of modern furniture design, being the initial producer of design classics by the likes Charles and Ray Eames and many others. 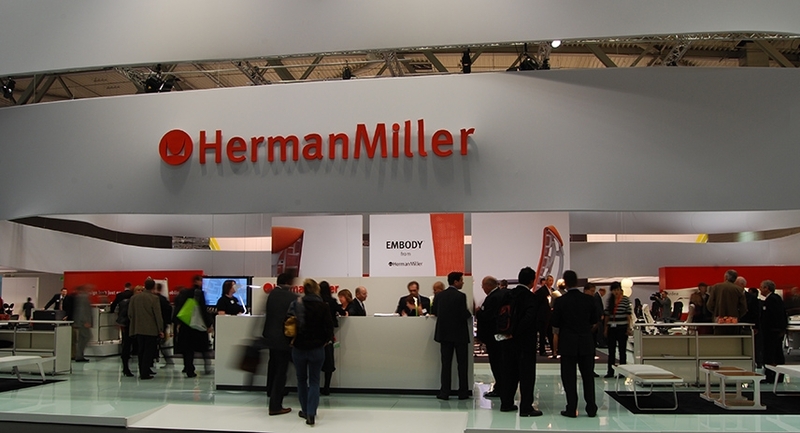 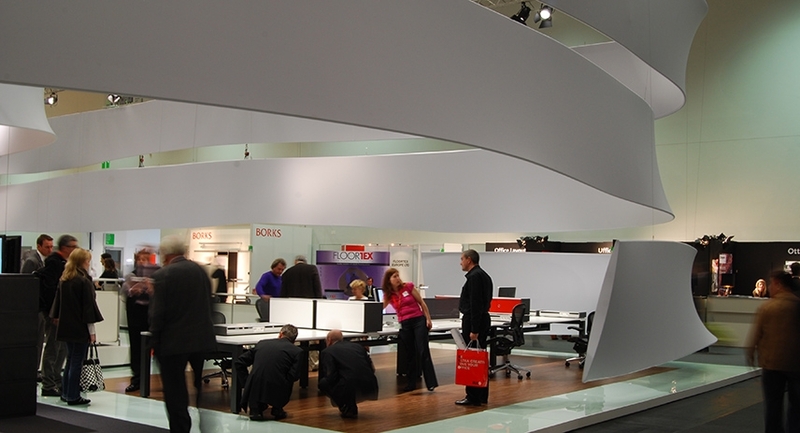 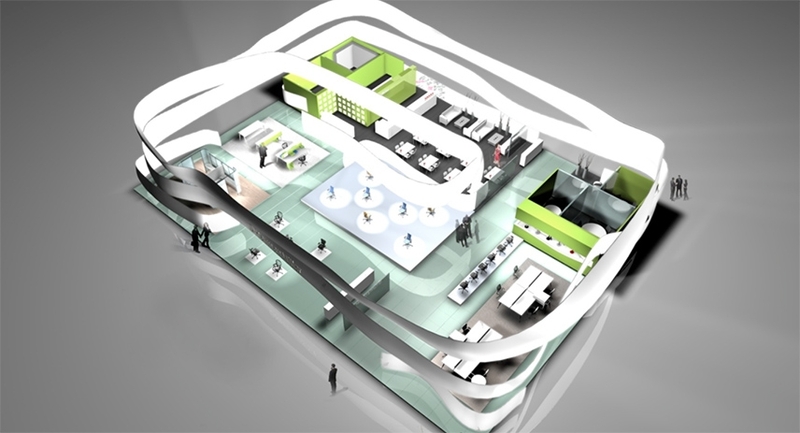 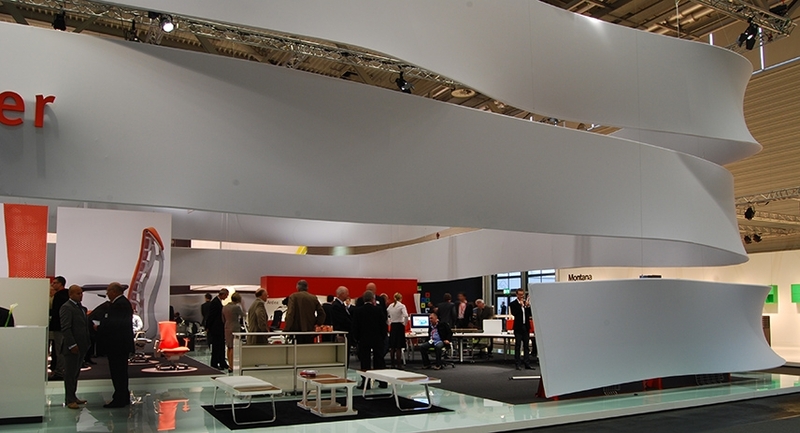 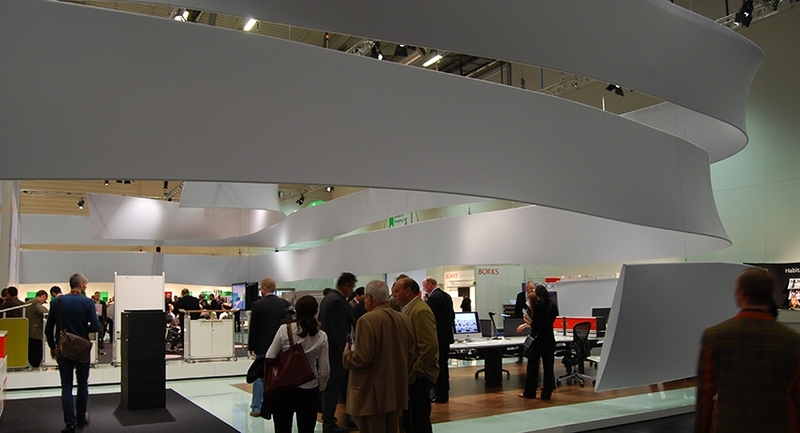 The Herman Miller stand at Orgatec 2008-2010 in Cologne was breathtaking. 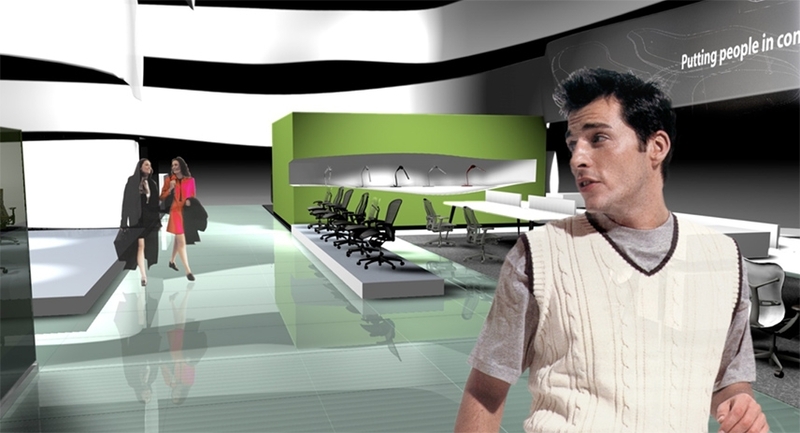 Based on the expression of defining space, processes and spirit in a poetic way. 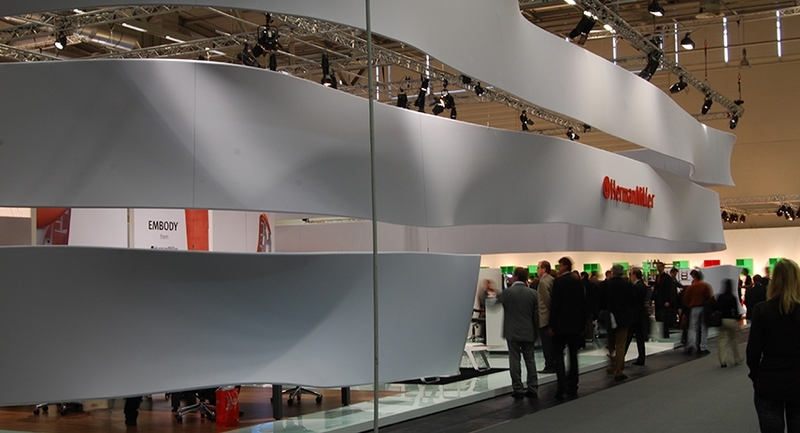 An organic floating form that literally embraces the various product settings. 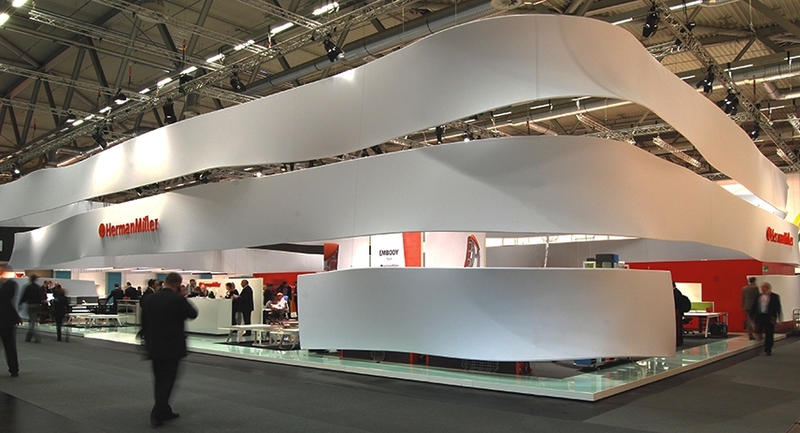 The organic form was a pioneering effort at the time - made of layers of stretch fabric over a metal framework, tested and sampled extensively and shaped into its organic form by hand and eye. 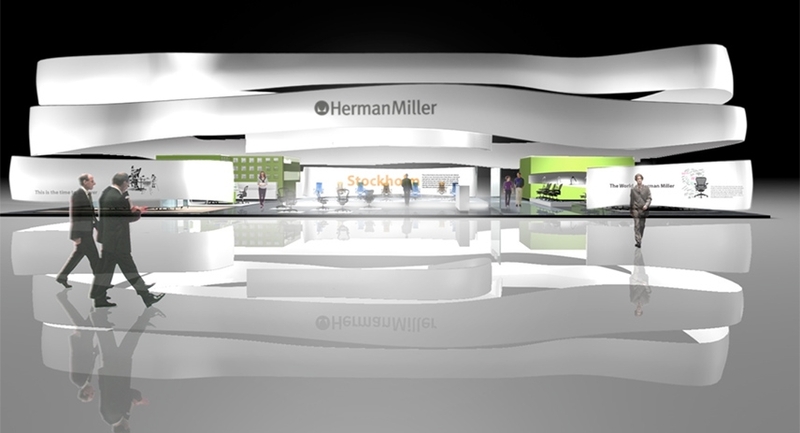 This design concept is successfully implemented at different scaled events in Cologne, Milan, Baltimore, Boston and Las Vegas.